Picture of a display at the Red Rock Canyon State park in California, USA as of October 2013. It shows a mammal like elephant tusk called gomphothere. 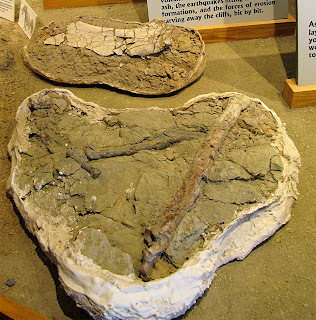 The fossils are from the Claredonian era (late Miocene epoch - Neogene Period) and were found in the Dove Spring Formation.